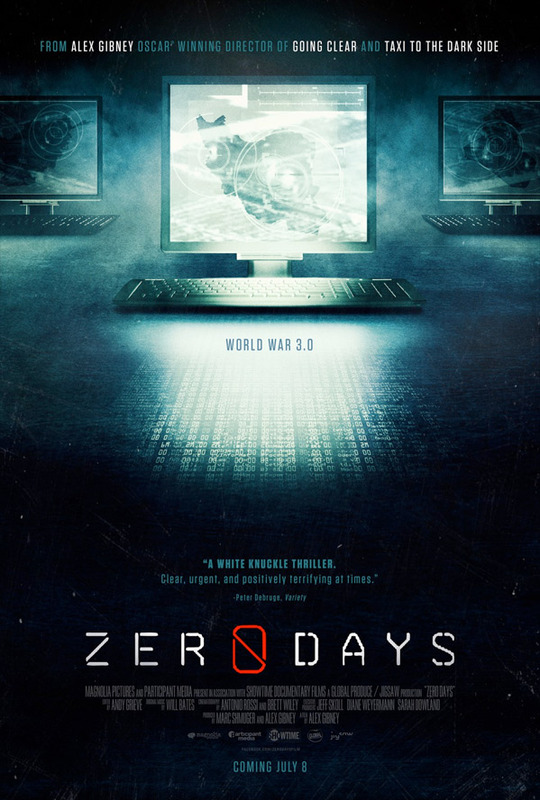 "Something as simple and innocuous as this becomes a challenge for all of us to maintain accountability control…" Magnolia has debuted a second trailer (see the first one here) for the documentary Zero Days, the latest from Alex Gibney, profiling the "Stuxnet" virus. The documentary premiered at the Berlin Film Festival earlier this year (read my review) and it's actually about the beginning of the cyber warfare era that we've quietly entered. This trailer barely scratches the surface of what they get into with this doc, though it does feature some of the really chilling lines and moments where you start to realize this is a global issue. This doc is terrifying in the way it makes you feel out of control with what's happening in this world. Enjoy. Alex Gibney's Zero Days is a documentary thriller about warfare in a world without rules— the world of cyberwar. The film tells the story of Stuxnet, self-replicating computer malware (known as a "worm" for its ability to burrow from computer to computer on its own) that the U.S. and Israel unleashed to destroy a key part of an Iranian nuclear facility, and which ultimately spread beyond its intended target. It’s the most comprehensive accounting to date of how a clandestine mission hatched by two allies with clashing agendas opened forever the Pandora's Box of cyberwarfare. Zero Days is the latest from Oscar-winning filmmaker Alex Gibney, of Taxi to the Dark Side, Client 9: The Rise and Fall of Eliot Spitzer, We Steal Secrets: The Story of WikiLeaks, The Armstrong Lie, Going Clear: Scientology and the Prison of Belief, Steve Jobs: The Man in the Machine. Magnolia will release the doc in theaters + on VOD starting July 8th. I had to chuckle at the thought of North Korea creating something like StuxNet...once you live in South Korea for a time, you realize what a joke they (North Korea) are. Stux NEt was probably developed by the CIA to start a new war with North Korea. Wars are good for the Business. Or so they say. The doc hints that it was created by governments to sabotage the nuclear centrifuges in Iraq, not so much North Korea. it was also used against North Korea without success, when Bush was tying to start a new war with Iran, Iraq was just a breakfast for the giant appetite of the Neo Cons. computers are the best invention, just behind the GPS and girls. Books smell good. Just like women. Fear, fear, fear! Sounds like someone wants another Patriot Act passed into law. ;D Fear Mongers are worse than NecroMongers. Help us Riddick, you're our only hope.